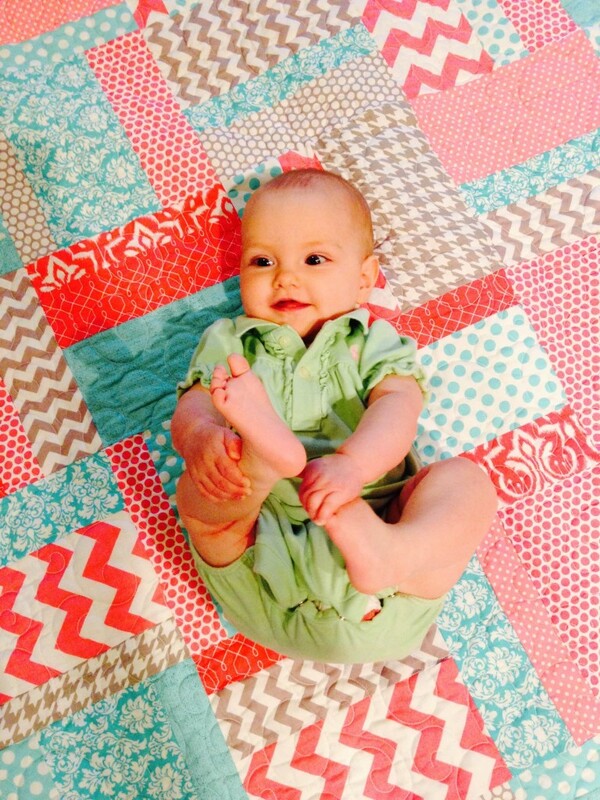 This past Friday my mom, her best friend Jenni, Harper, and I drove to Fort Worth for the Trinity Valley Quilter’s Quild Quilt Show – Sew Many Favorites. 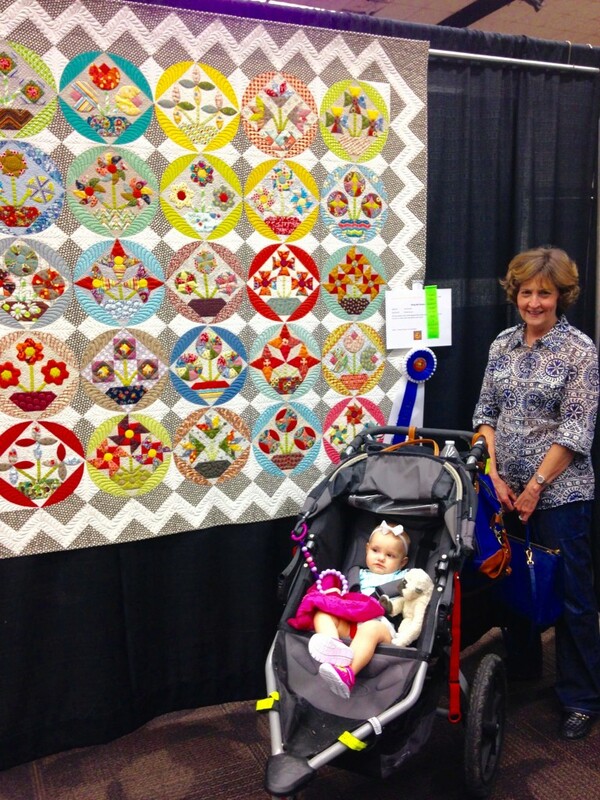 My mom’s “Bring Me Flowers” quilt won first place!!! 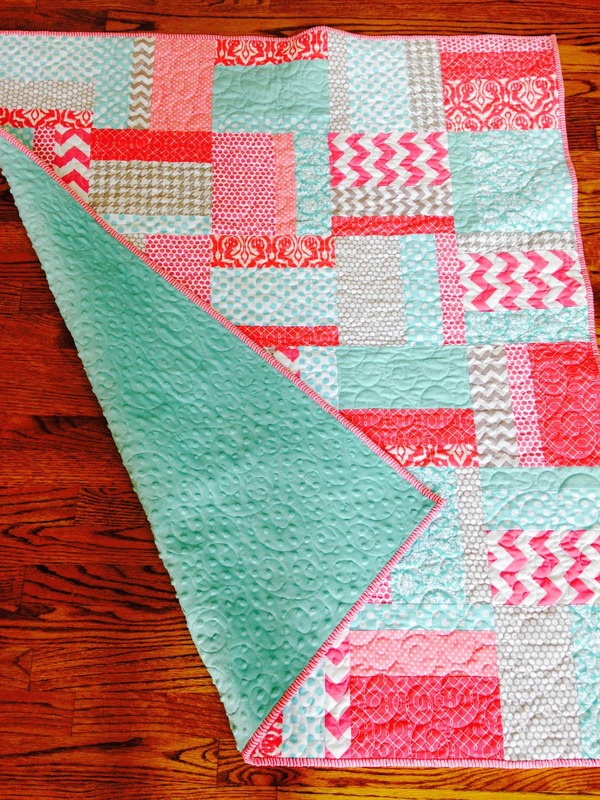 She is super talented and her quilts are absolutely gorgeous. Maybe someday I’ll win a blue ribbon in a quilt show. In the meantime, I’ll just practice-practice-practice. 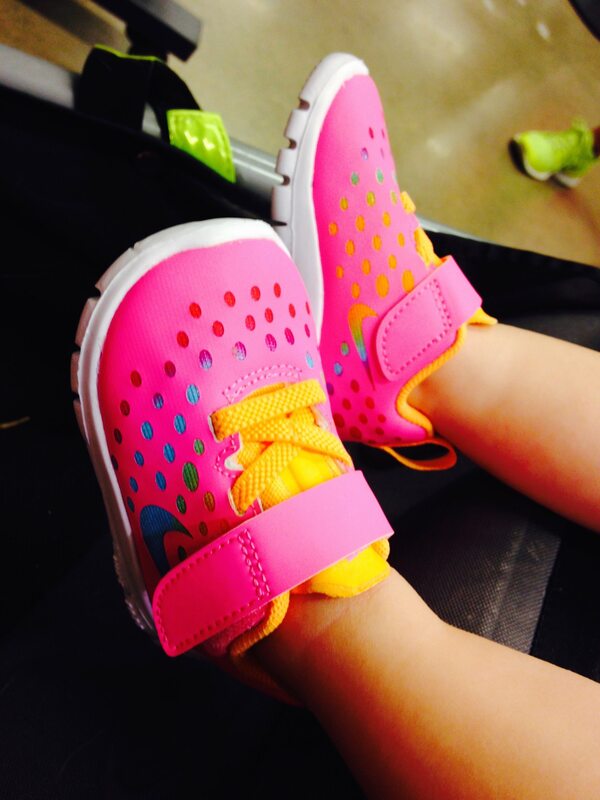 I am a novice and just started sewing when Harper was born. 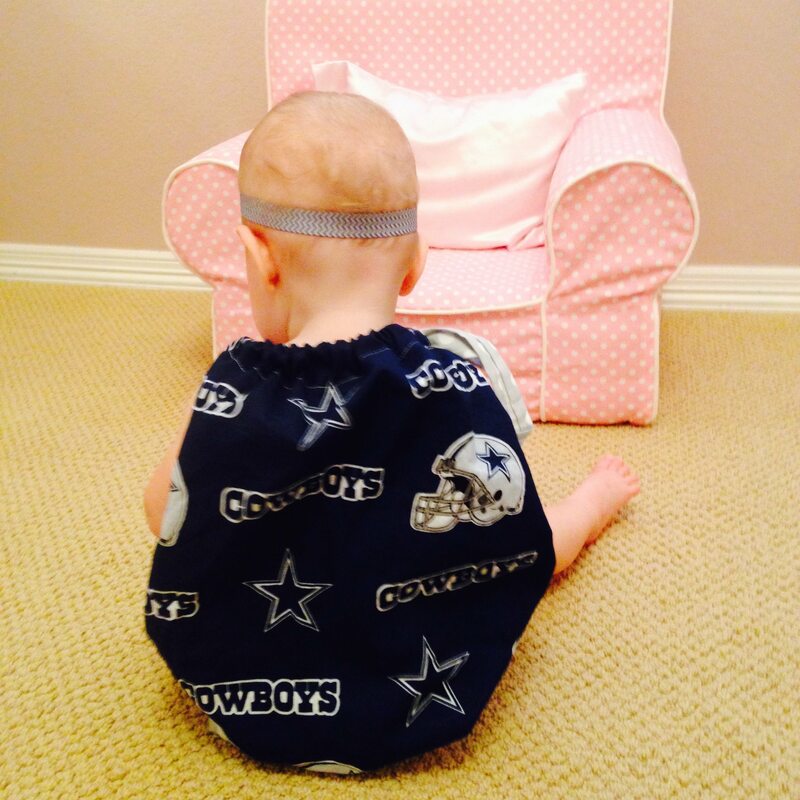 So far I’ve made collegiate pillowcases (Texas A&M, Arkansas, and Oklahoma State), a baby quilt, and a Texas A&M pillowcase dress and Dallas Cowboys pillowcase dress for Harper. Gig ‘Em Aggies! 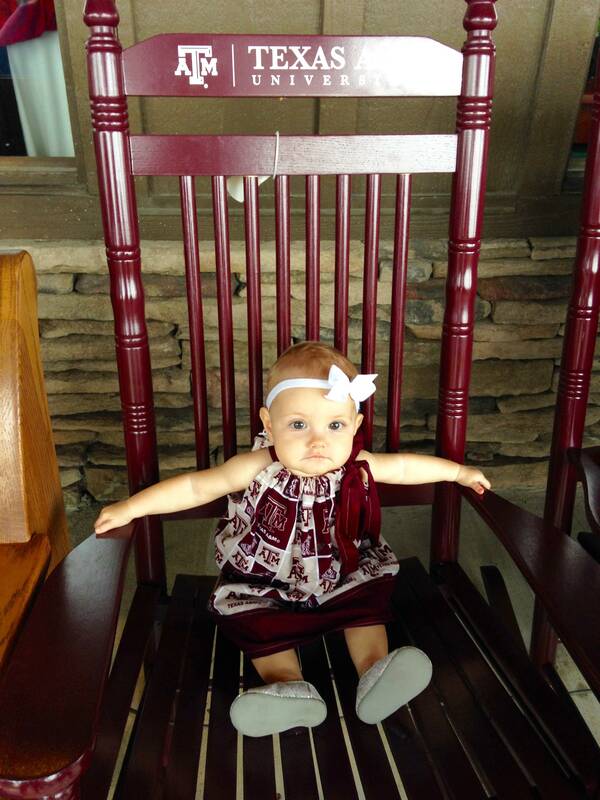 Harper in her Texas A&M pillowcase dress. 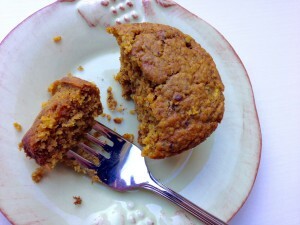 After returning from the quilt show, I tried one of these bran muffins that my mom made and wow are they delicious! 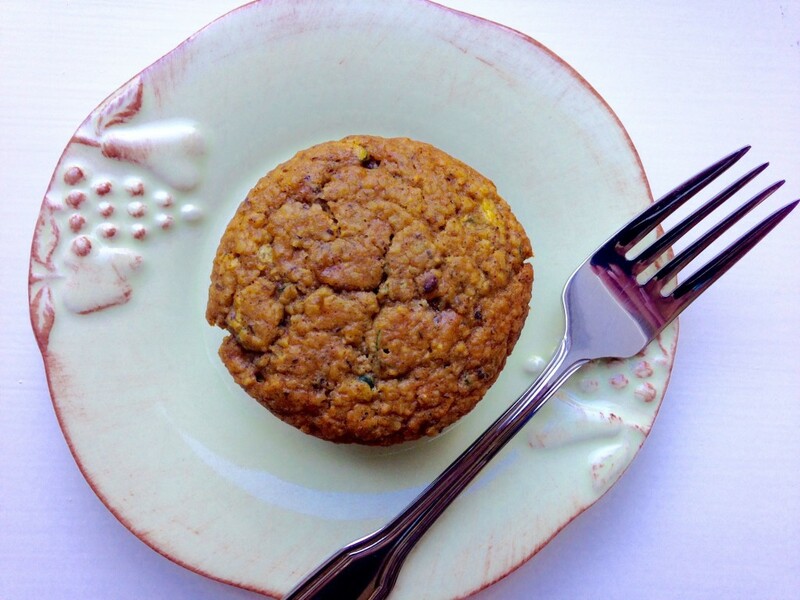 They aren’t your typical boring bran muffin recipe. 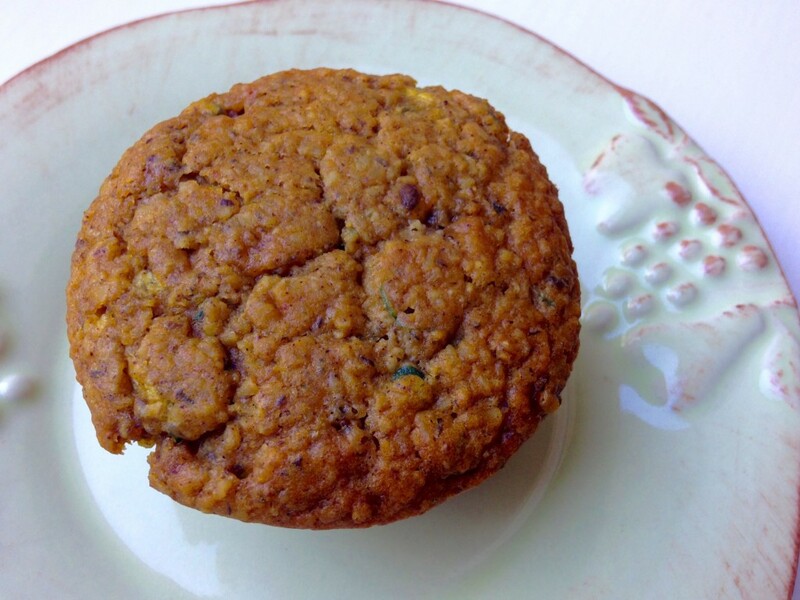 Instead they’re made with shredded zucchini, pumpkin puree, flaxseed, whole wheat pastry flour, and coconut oil… all healthy ingredients for an actually ‘good-for-you’ bran muffin! Credit goes to Jessica Merchant of “Seriously Delish: 150 Recipes for People Who Totally Love Food.” I’m not much on buying cookbooks since the Internet has so many of them listed, but Merchant’s cookbook is an exception. She has tasty, innovative recipes that are “lightened up”, but actually taste good. I’ll be making these again soon since they were soooo good! Since it’s pumpkin season, grab a jar of Muirhead Pecan Pumpkin Butter from Williams-Sonoma to smear on these, and you’re good to go! Place the wheat bran on a baking sheet in a thin layer. Bake for 8 to 10 minutes to toast the bran, shaking the pan once or twice during baking. Remove the pan from the oven and add the bran to a bowl. Pour the milk over the top of it and let it sit for 5 minutes. In large bowl, whisk together the flour, brown sugar, flaxseed, baking soda, baking powder, cinnamon, ginger, nutmeg, and salt, In another bowl, stir together the zucchini, pumpkin puree, coconut oil, egg and vanilla extract. Add the wet wheat bran to the pumpkin mixture and stir to combine. Add the wet ingredients to the dry and stir until just combined. Do not over-mix. Fill each muffin liner almost full. Bake the muffins until the tops are set, 20 to 22 minutes. Remove the pan from the oven and let cool slightly.